Back in August we showed a video of them in the studio recording this. Now here's the finished product which is #4 off "The Green Hornet" mixtape with DJ Messiah. 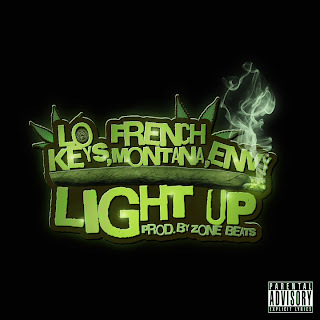 Lo Keys recruits industry Heavy Hitter French Montana with Envy on the hook and production by Zone Beats. Follow @LoKeys910 x @FrencHMonTanA x @ZoneBeats on Twitter to stay updated!! !